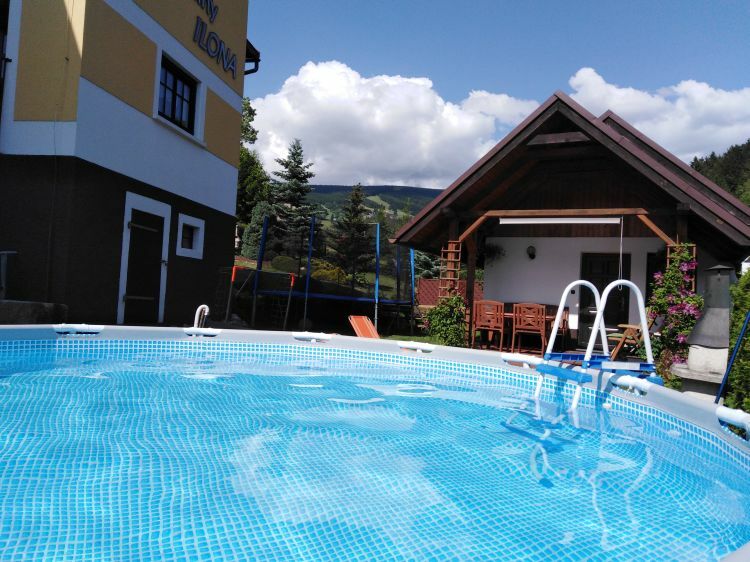 Apartments Ilona are located in Horní Rokytnice nad Jizerou only 600 m from ski centre Horní Domky. Skibus 100 m (free of charge). 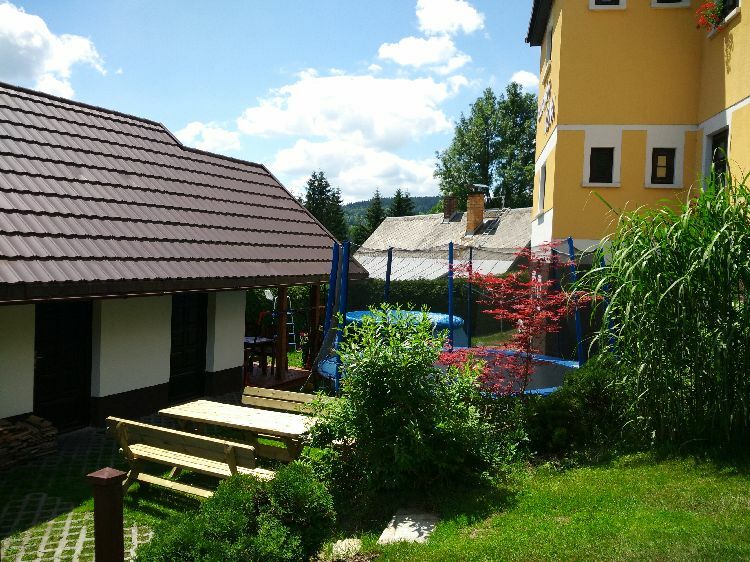 Our apartments are fully furnished and perfect for family holiday in summer and in winter. Parking free of charge by home. 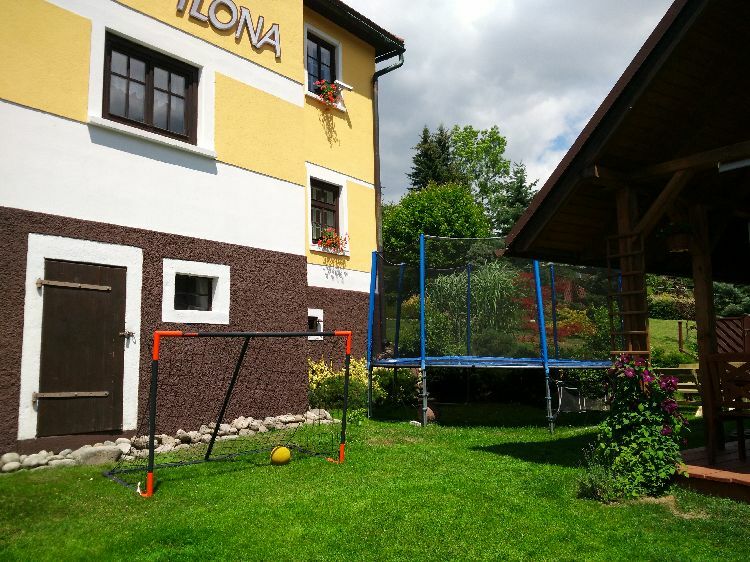 We offer our guests garden, pool, kid’s house with seesaw, slide and sandbox, large trampoline, garden fireplace, covered sun deck with seating area, too. 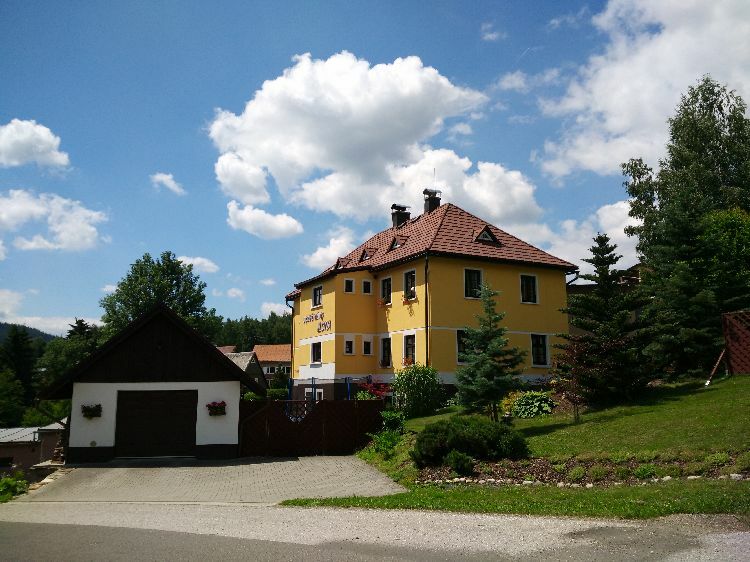 We offer accommodation in luxury furnished two to five rooms apartments in the family house in Rokytnice nad Jizerou, only 600 m from ski centre Horní Domky. 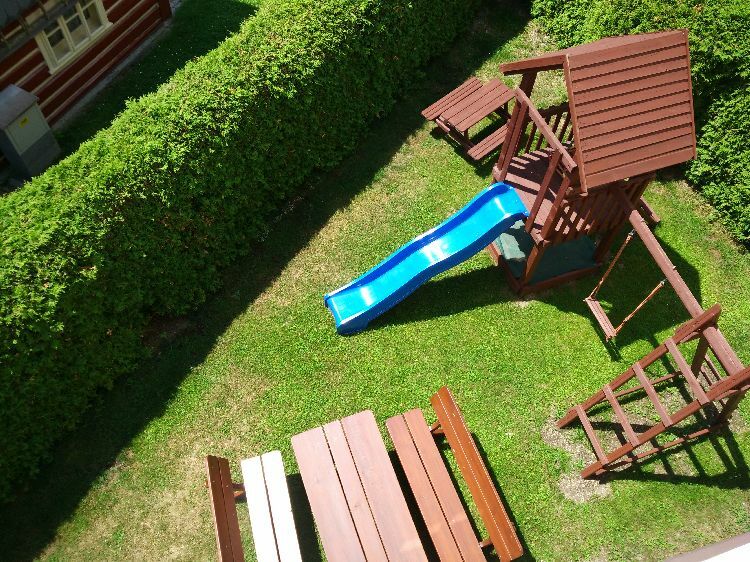 We offer our guests garden, pool (Ø 4,5×1,20 m)(July, August), kid’s house with seesaw, slide and sandbox, large trampoline, garden fireplace, covered sun deck with seating area. Rokytnice nad Jizerou is a popular recreational, tourist and sports centre in the western Giant Mountains. 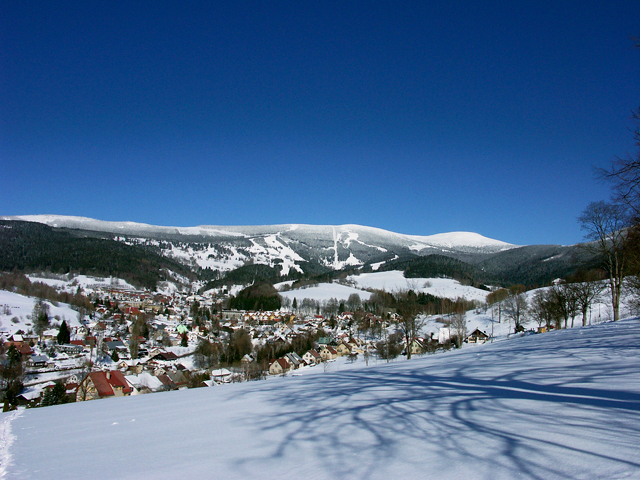 During the winter months visitors can find in Rokytnice nad Jizerou excellent conditions for skiing (ski slopes and cross-country ski trails). There are ski schools for beginners and advanced as well as equipment rental. Rokytnice offers inexhaustible amount of marked tourist trails and paths, cycle tracks and wide range of sports activities.